While many people may think email marketing is dead, they’re mistaken. The power of email marketing is alive and well when campaigns are thoroughly thought out and executed properly. Keep reading to find out how your company can pump new life into SaaS email marketing campaigns for greater success. Gone are the days of sending the same email to the same users on the same day. We recently wrote about how important it is to look at the whole SaaS customer lifecycle funnel, and modern day email marketing requires thoughtful segmentation to reach and engage with potential and current customers throughout the customer lifecycle. When used properly, email marketing can propel your SaaS company to the next level via increased conversions, onboarding success, engaged users, increased customer happiness, and upgrade potentials. Welcome emails (post sign up) have “four times the total open rates and five times the click rates” compared to other emails. Learn how to make them count! The authors of the must-read resources below have gone through the email testing and failures for you, so you can take their knowledge and turn your email marketing into a growth lever for your SaaS company. This blog talks about optimizing your blog for the whole sales lifecycle, but we’re including it in here because of the information they provide specific to acquiring blog signups. Because you can’t begin sending emails until you have email addresses! 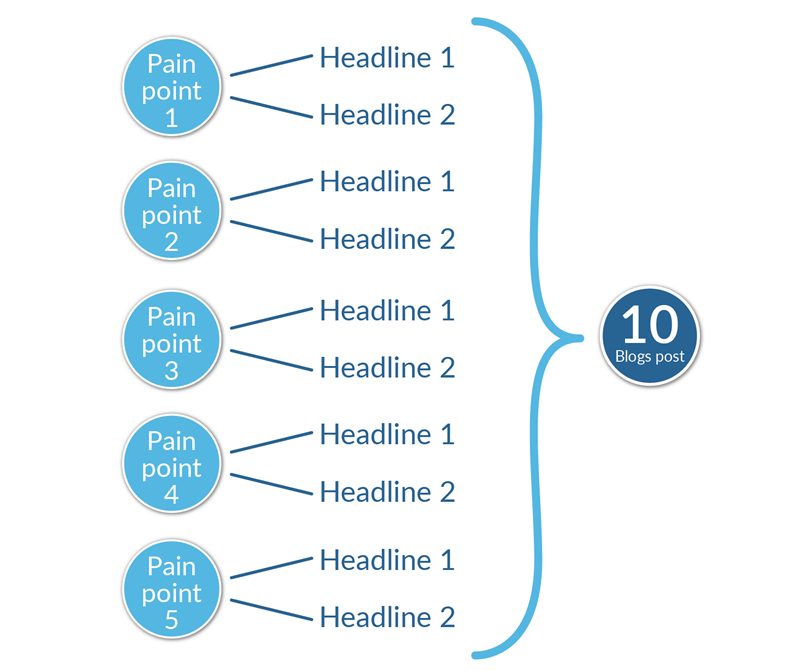 The information in this blog will help you understand how important the details are in order to optimize for maximum blog signups. If you think you need to have a blog just because your competitors have one, think again. After you read the Close.io blog we discussed above, follow it with this Groove blog. Alex Turnbull’s post does a deep dive into why creating excellent content on your blog is worth the effort. Email marketing doesn’t stop when visitors sign up for a trial or convert to paying customers. Part of sending the best emails is determining the specific segments of your audience that are most receptive to each message. What SaaS doesn’t want a 450% increase in conversions?! It isn’t the title that landed this blog on the must-read list, but rather the detailed explanation of how they got to the 450% conversion increase. In their words, this blog came about when Vero’s Chris Hixton insisted any SaaS company can make “simple changes” to their email marketing and get similar results . . . and Lincoln Murphy challenged him to prove it. They give action steps (our favorite) on how any SaaS company can improve their conversions by making similar changes in their email marketing. Once you understand segmenting, let’s take a deeper dive into one of our favorite topics — onboarding. 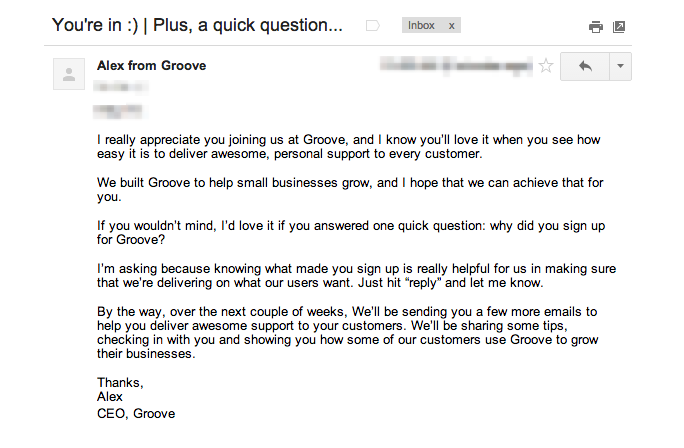 After testing a variety of onboarding emails, Groove found that asking the new user “why did you sign up for Groove?” was not only the key to being able to further customize communications for the user, but also positively impacted Groove’s product roadmap. If your SaaS doesn’t currently send an onboarding email from the founder or CEO, you may want to consider testing it after you read this blog. This is posted on Vero’s blog, so there is some introductory focus on automating onboarding emails based on user behavior. Remember that Groove found their best converting onboarding email not by randomly stumbling on it, but by testing various email types. The examples in this blog provide general templates you can use to create different onboarding emails for your own SaaS. You may find specific new user segments respond best to different email types (this is very likely, in fact). Use this blog to help you branch out and test those different onboarding emails! Yes, one of our own is on the list. 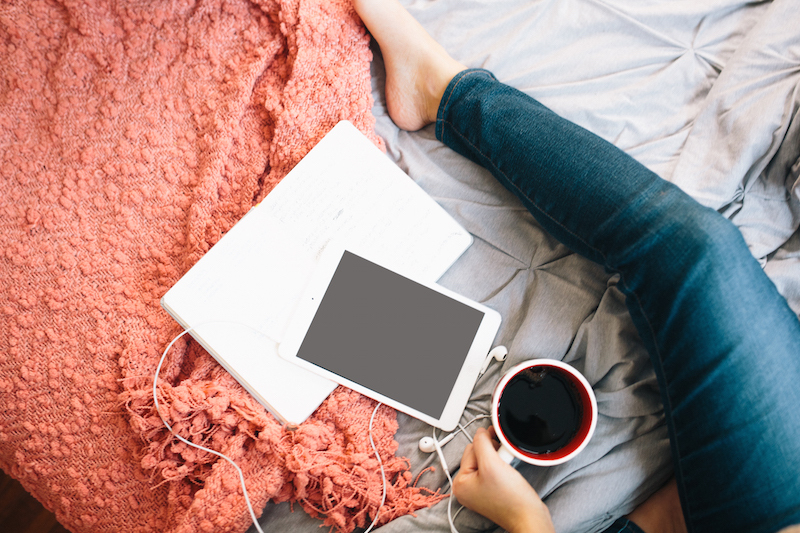 We realize we may be a bit biased, but there are reasons it belongs among the must-reads for SaaS email marketing: while all the other blogs on this list provide case studies, examples, or email templates, none break down the micro of what (exactly) should be in your email. That’s actually the reason we wrote the blog in the first place. This blog focuses on the elements of the welcome email, but many of the key takeaways can (and should) be applied to every email you send throughout the customer lifecycle such as personalization and including a clear call to action. 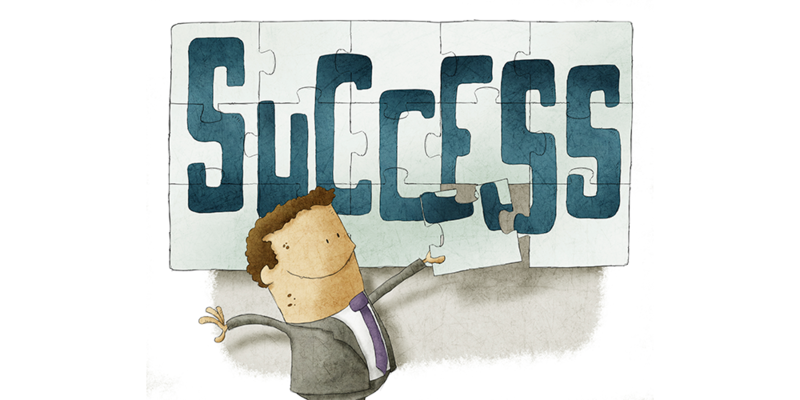 Once you’ve mastered the welcome and onboarding emails, you can focus on the upgrade. One of the things we love the most about this blog is that Janet Choi not only breaks down examples of SaaS companies known for their successful email marketing, but she also gives basic templates which allow you to fill in the information specific to your own company. These templates may be ideal if writing isn’t your strong suit or your startup doesn’t have a marketing department yet. If you are a SaaS marketing team member reading this, don’t dismiss Choi’s blog as only for beginners. She has broken down some great SaaS upgrade emails, and it is easy to compare them to the format of your own upgrade emails in order to identify some potential copy variations to test against. Josh Pigford of Baremetrics bares all in this blog and shares the exact emails (yes, all 17 of them) that they send to customers throughout the entire customer lifecycle. While the wording in the emails is specific to Baremetrics, you can use the emails as models for your own email marketing campaigns. If you’re not sending emails at the same lifecycle points Baremetrics does, look at the data points related to those junctures in your own SaaS customer lifecycle. You may be missing some key email opportunities to create happier customers and further reduce churn. One of the things we find ourselves wondering is the ideal time to send our emails. 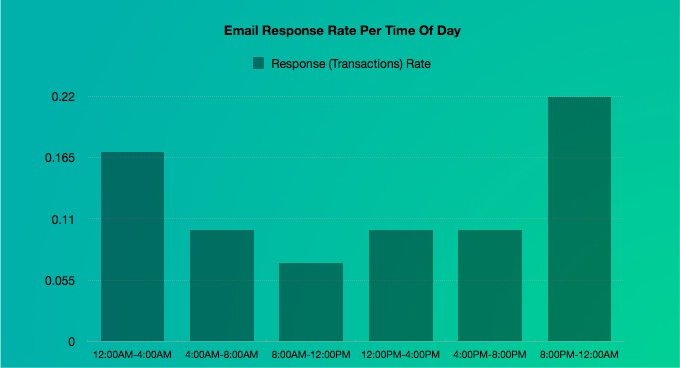 This Customer.io blog isn’t on the SaaS email marketing list of must-reads, but it does a great job providing stats on the best day and time of day to send emails. 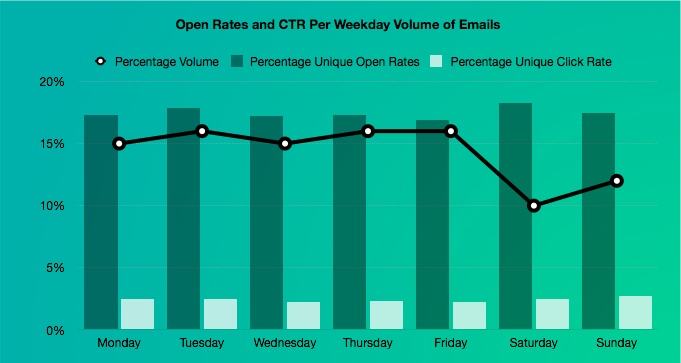 It turns out the best day and time to send emails depends on your email marketing goals (i.e. open rates, clickthrough rates, response rates, etc.). Customer.io doesn’t break down the best time to send emails by sections of the SaaS customer lifecycle, but you can pair the information in the blog with some of your own customer lifecycle funnel metrics to experiment and find “the perfect time” for each of your lifecycle emails. 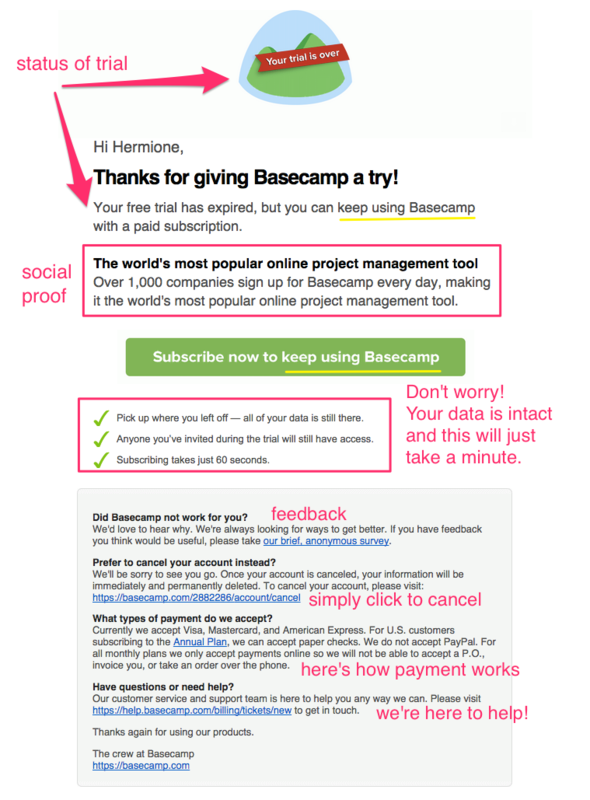 SaaS email marketing sounds easy initially (how hard is it to send emails?) but the actual elements involved in creating a successful email marketing campaign that engages and converts readers is more difficult. The must-read resources listed here will help you optimize your own email marketing campaigns for success in each portion of the SaaS customer lifecycle. If we left out one of your must-read SaaS email marketing resources or you have a tip to add, let us know in the comments below.